Buy Pelargonium 'Don Palido' (PBR) regal pelargonium: A tender plant will usually flower non-stop all summer. 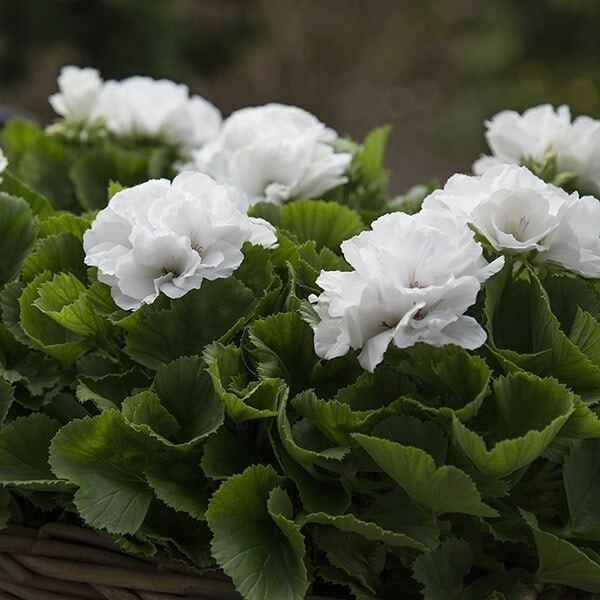 White flowers are always popular, looking sophisticated and stylish, and this pelargonium ticks all these boxes. 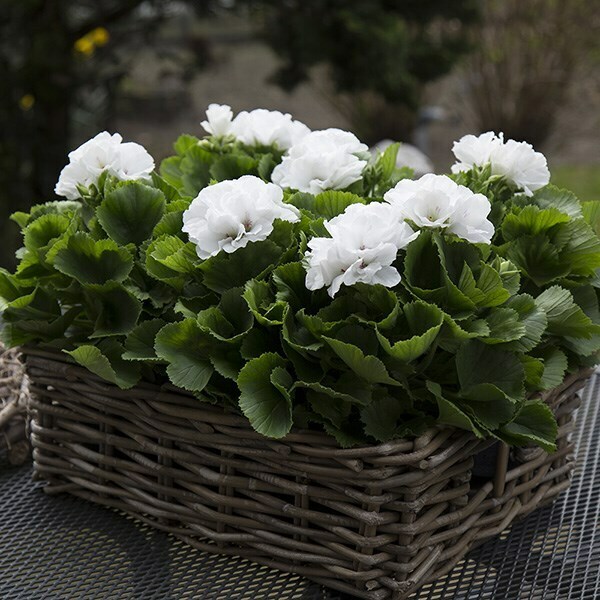 Large trumpet shaped flowers borne in clusters above bushy mid-green leaves are fabulous for summer bedding schemes, patio pots, windowboxes and hanging baskets. A tender plant, it will usually flower non-stop all summer, carrying on well into the autumn, usually until it is hit by the first frost.